An article published in the journal “Nature” describes a research carried out using NASA’s space telescope NuSTAR (Nuclear Spectroscopic Telescope Array) to examine the central area of ​​the Milky Way. 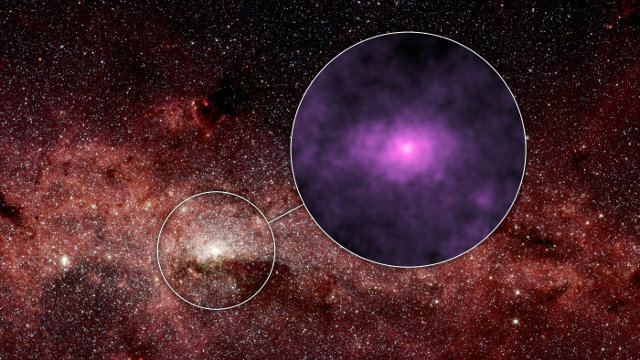 A mysterious glow shows an amount of X-rays higher than expected and could be caused by emissions from zombies stars. NASA has confirmed that a few hours ago the Messenger (MErcury Surface, Space ENvironment, GEochemistry and Ranging) space probe ended its mission by crashing on the surface of the planet Mercury. Messenger ran out of fuel and some maneuvers were recently programmed to prolong its life of a few more days. Eventually, even the helium normally used to pressurize the propellant was released in a jet that gave the probe one last push. It was a very successful mission that allowed us to discover many things about Mercury. An article published in “Astrophysical Journal” describes the diskovery made by a group of astronomers led by Sayan Chakraborti of the Harvard-Smithsonian Center for Astrophysics (CfA). They studied a supernova called 2012ap (SN 2012ap) which is a missing link between ordinary ones and the ones that cause the emission of a gamma-ray burst. There are several known cases of runaway stars such as Zeta Ophiuchi but now the Russian astronomers Igor Chilingarian and Ivan Zolotukhin of the Moscow State University’s Sternberg Astronomical Institute have found runaway galaxies. In an article published in the journal “Science”, the list 11 galaxies ejected from the clusters they used to be part of because of the gravitational interaction with their neighbors. A team of astronomers used the HARPS (High Accuracy Radial velocity Planet Searcher) instrument at ESO’s La Silla Observatory in Chile to obtain for the first time a direct detection of the spectrum of visible light from an exoplanet. 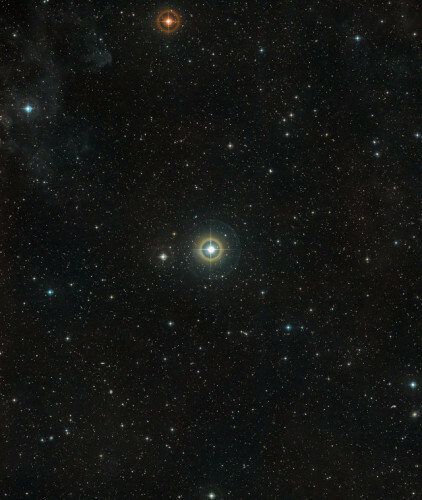 It’s 51 Pegasi b, already well known by astronomers because it was the first exoplanet discovered among those orbiting a star on the main sequence.